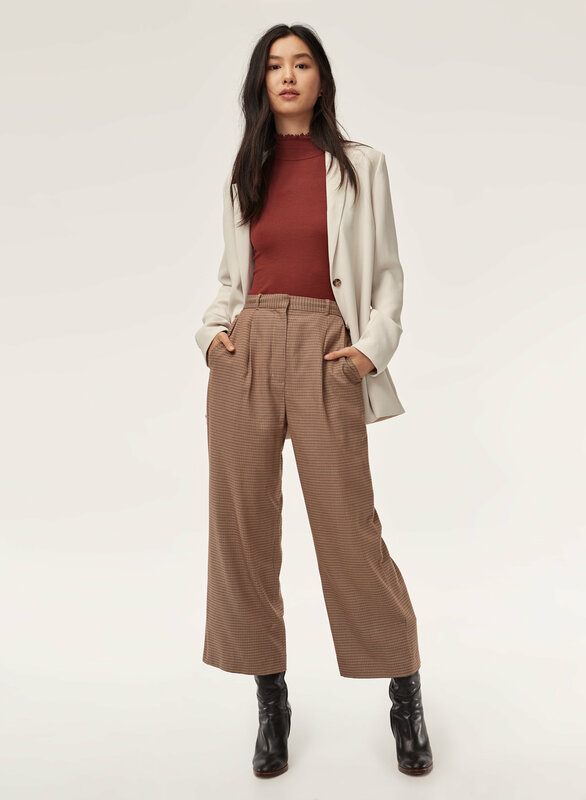 Styled with aurel pant and mylene blazer . 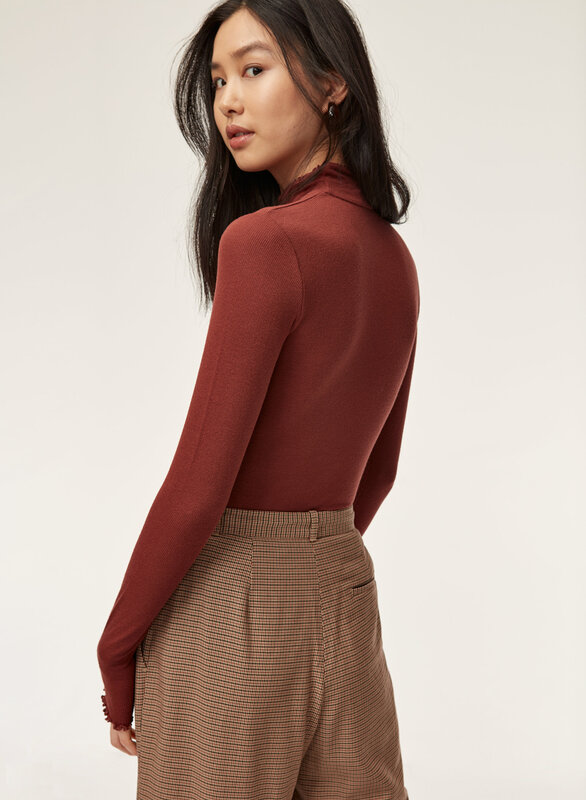 Made from soft ribbed modal, this turtleneck is a cinch to layer. The slim silhouette gets a feminine update with lettuce-edge detailing. very pretty color. Be sure to size up. Love the detailing on the arm cuffs and neckline! 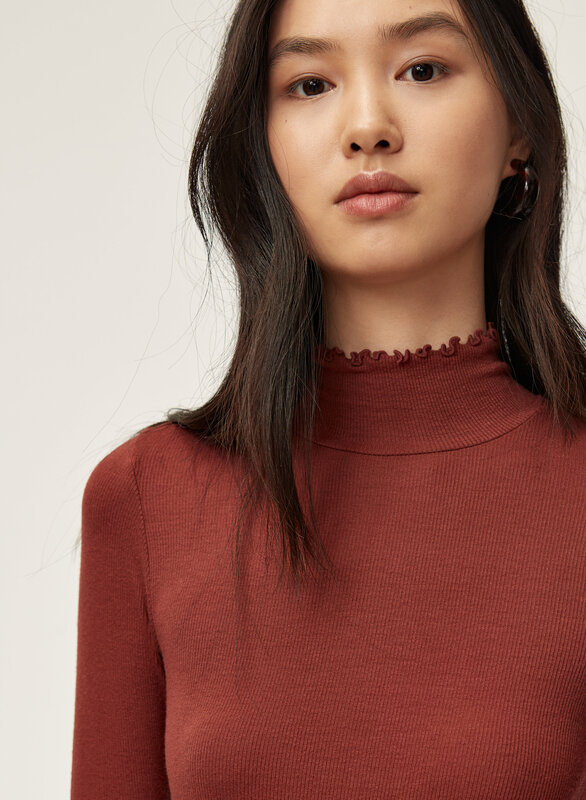 It adds a cute touch to an otherwise normal turtleneck. Love the fabric as well as it is slightly stretchy and ribbed. 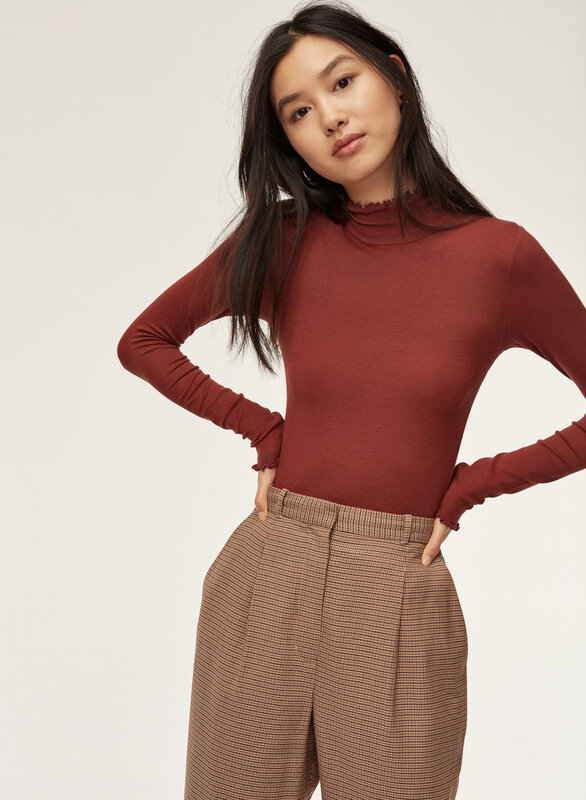 Perfect for layering as well! 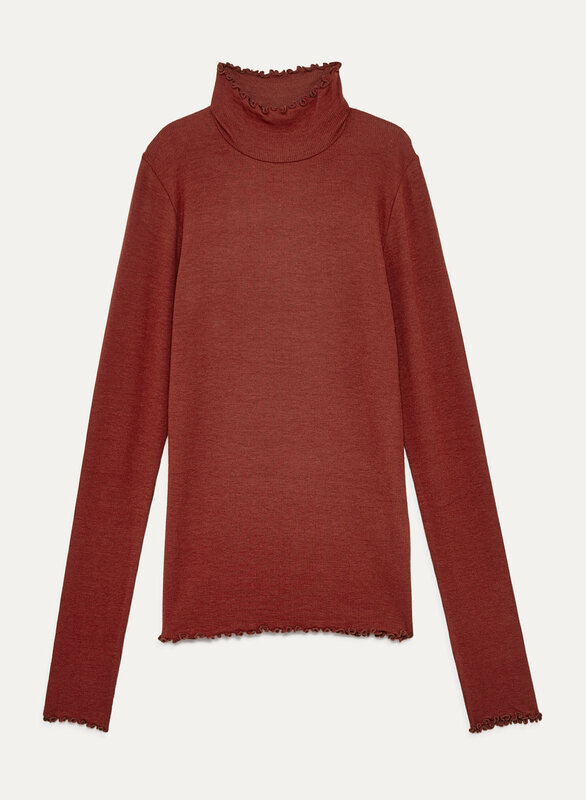 Love the Carco shirt: super soft, good length, and cute lettuce detailing. However, it is a little sheer if you pull it down too far to tuck in, or have it too small. It’s not really a problem with my black one, but could be worse with lighter colors. I’m 5’8” 135 lbs 36B bra, and small fit perfectly. 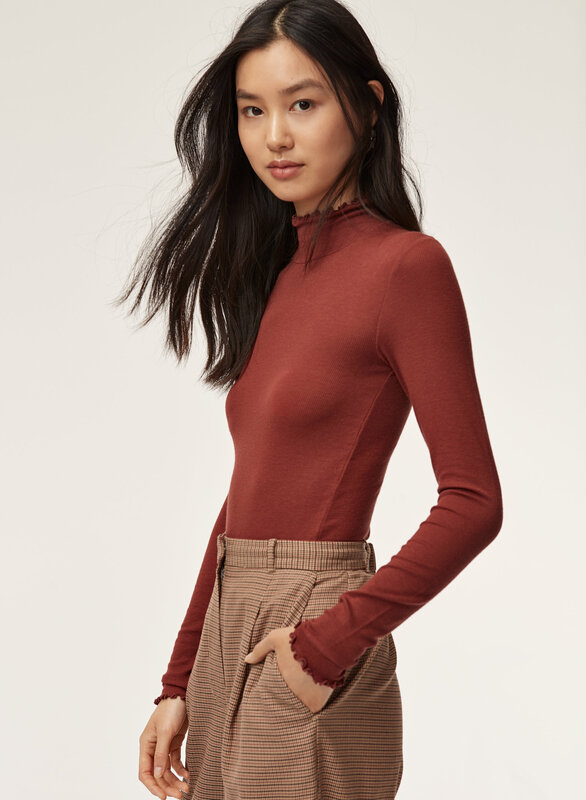 Shirt is thin, but not see-through, and clingy which is what I want. My only complaint is that it is a bit longer than I like, and the sleeves are longer than most shirts I've owned, but I find this to be nice actually. Overall, very cute.